Football & India- Will They Meet? Loving football in India is no more a crime today but it certainly was when I started following Arsenal. That was way back in 2002. I was 15 years old and that was the prime age to learn, play, love and follow cricket in India. I did it religiously but Arsenal kept creeping inside my heart. And 10 years hence, I fell so much in love with this football club that I got the club name tattooed on my right forearm and started a blog that is a running tribute of mine to this awesome football team. You can check the blog here. But this post is not about Arsenal and my love for it. This is about football. Very clearly, the most followed game on this planet has not been very generously received by Indian people. If we go back in the past, we have had some golden moments in this awesome game. And do you know we were Asian Champions once? At that moment, the nation would have expected India to get better and become more competitive. That is what normally happens. You get better with time and 40 years is enough time for the same. Sadly, for Indian football, things never improved. Why is this so- I never got an answer that I can say is, probably justified. What was wrong with us? Why did the game lose its way among billions of Indians? What made probably the cheapest sport on earth so inaccessible in India- a country they say is very poor and economically still not developed? This, instead, should have been the focal point. It is not to be. 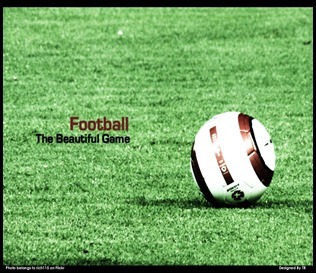 Since my understanding of the game, I have regarded as the most beautiful game ever played. (You can read more on this in my post in sports portal SportsKeeda). Not the easiest but a treat to watch. For some, football has always been about kicking balls (no pun intended) but this is not the way it was meant to be played. It has a charm, an attraction to it. Every time you see the curl of the ball, you feel mesmerized. Every goal your team scores, you are ecstatic. To write about this game, your vocabulary levels have to be the best, your writing prowess should be somewhere near the peak of Burj Khalifa and………ok, I have ran out of words. It is unfortunate that under the shadows of cricket, this game has not thrived to an extent it should have. You might find football in parts of regions of Bengal, Goa and Kerala but the bigger picture is not very encouraging. Yes, the satellite channel has made it easy to watch games from the popular leagues of the Europe. The jerseys of the biggest stars are now just few clicks away, courtesy e-commerce sites like Myntra and Jabong. The sports bars have opened the screenings of big matches. But at the grass root level, we are still at square one. It is tough to see India progressing at suddenly a better pace in this sport. It will take time but once it gets itself free from the clutches of cricket, it will be certainly break the extremes; that is what I believe. 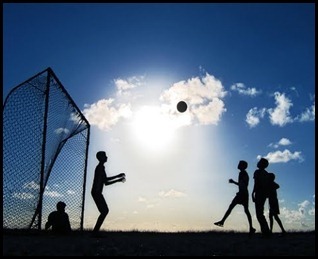 In love with the beautiful game ever. Votre blog est distinctif. J'ai trouvé votre blog innovante. Vous avez choisi le thème très incroyable pour votre croquis. Je chérissais. All things considered, the reality of the matter is that Football has an extraordinary fan taking after now, however the test is to enhance the standard of amusement in the nation. Kids who can extremely well tell every last player and their positions in groups like Manchester United or Chelsea can't name four or five players in the Indian National Football group. However, this post is not about Arsenal and my affection for it. This is about football. Clearly, the most took after amusement on this planet has not been liberally gotten by Indian individuals. In the event that we backpedal before, we have had some brilliant minutes in this wonderful diversion. Also, do you know we were Asian Champions once? Right then and there, the country would have anticipated that India would show signs of improvement and turn out to be more focused. That is the thing that typically happens. You show signs of improvement with time and 40 years is sufficient time for the same. Unfortunately, for Indian football, things never moved forward. Getting the most out of a handicapper's college football weekly picks can sometimes be a hit or miss opportunity. Sometimes the lines Vegas draws are just under or over what some handicappers would call while at other times it's right on the money. I am presenting an overview of football in India. I am also stating some of the reasons why it is not so popular here. India is a vast country and there are billions of Indians who come from various backgrounds and cultures. As Indians are quite laidback, they love to have their popcorn bowls out and watch television. Indians are not very particular about their sports but the only sport that has captured the hearts of the nation is cricket. Having said that, the popularity of the most popular game on this planet i.e. soccer or football has also received an upward trend.Sports. The rivalry between Mohun Bagan and East Bengal clubs as far as football is concerned is epical in stature. This is surprising when we consider that the popularity of Football in India has been reserved in very well defined pockets. Oh that ‘s great. You did a really good job. I doubt football will ever become popular in India. but i'll be glad if it does. Bolivia vs Argentina Live Stream OnlineHonduras vs Costa Rica Live Stream OnlineThanks!